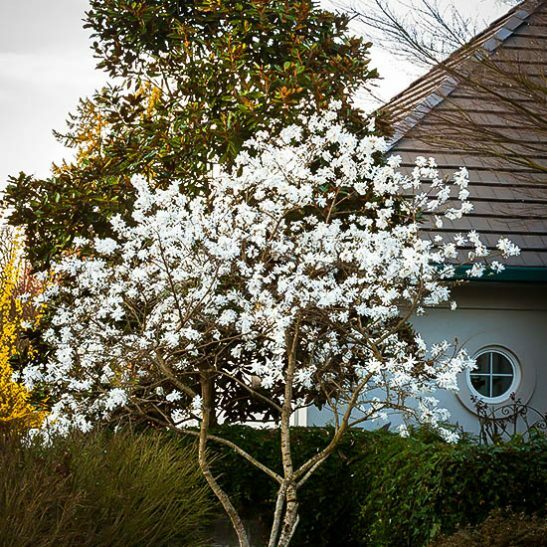 For drop-dead beauty in a hardy flowering tree, the Royal Star Magnolia is unbeatable. Large, upright cup-shaped blooms smother the bare branches at the first hint of spring, filling the garden with bloom before other trees have even wakened from their winter sleep. For the rest of the year it forms a calm, green background for your summer flowers, leaving you longing for spring to return so you can enjoy it once again. 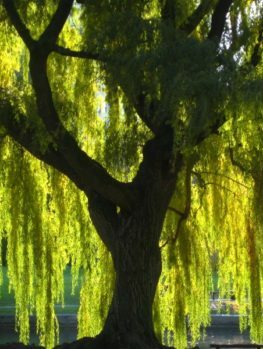 Maturing at just 20 feet tall, this graceful small tree is the perfect choice for a smaller garden, or as a foreground tree on a larger property. 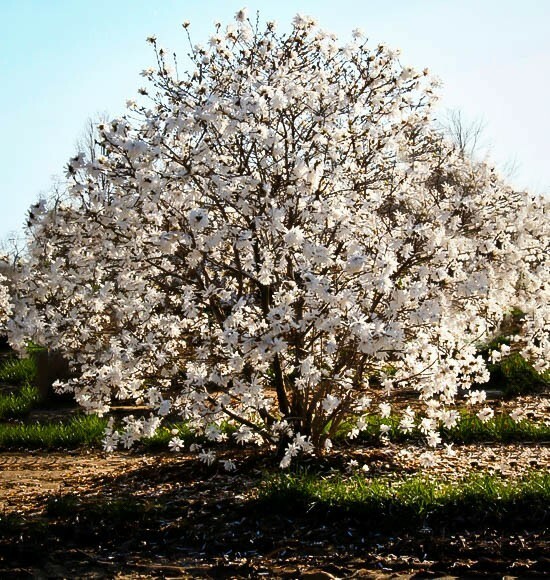 Trouble-free and flowering from an early age, the Royal Star Magnolia will amaze you with its beauty and ease of growth. It will happily grow in full-sun or partial-shade, so it is adaptable to many spots in your garden. Planting a large shrub or tree brings a lot of benefits to your garden. It adds a vital third dimension to a space that, without it, can appear flat and uninteresting. It can provide shade, either for smaller, more delicate plants or for you to relax in on a hot summer afternoon. Shrubs and trees are an attractive but practical way to mark or even protect your property’s boundaries. And, of course, many of them can put on a spectacular display of flowers to bring the summer in with style. 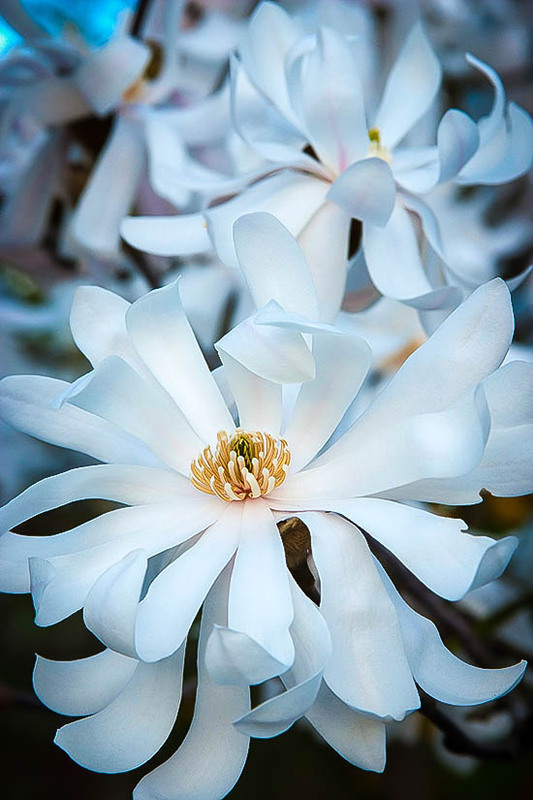 Among this group the Magnolias are long-term favorites and the Magnolia stellata cultivar Royal Star is one of the finest you’ll find anywhere. The Magnolia family has an ancient lineage and is widely distributed around the northern hemisphere in nature. Originally it seems to have evolved in Asia but there are also wild species native to North America. In fact, it’s deeply enough embedded in the culture that a Magnolia bloom is the official state flower of both Mississippi and Louisiana, and the tree is also Mississippi’s state tree. Since Magnolias became popular among gardeners hundreds of varieties have been cultivated and traded freely around the world, so there’s now an incredible choice available. Star Magnolia (Magnolia stellata) is native to Japan but has become highly sought after in the USA. 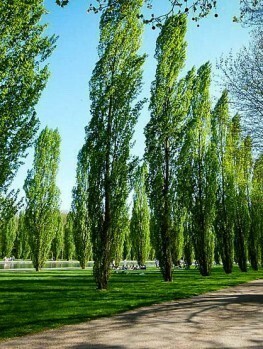 It’s a mid-sized tree that usually grows to between 15 and 20 feet high, and reaches a width of eight to 15 feet. Left to its own devices it usually forms a spreading domed crown, but many gardeners grow it into a globe or oval shape. 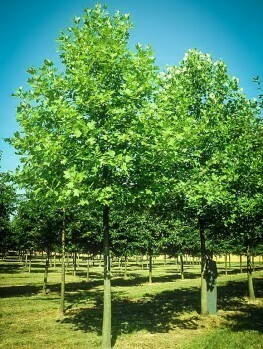 It’s a deciduous tree that produces dense, glossy green foliage in spring; the leaves taper to a point. 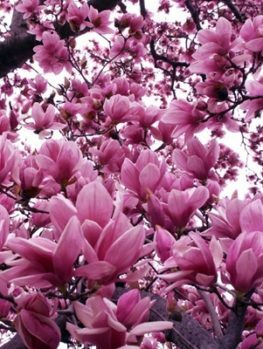 Like all Magnolias, however, its most striking feature is the display of flowers it creates every spring. The Royal Star variety is especially notable for this; it’s been cultivated for larger, showier flowers, and the effect is remarkable. Each bloom reaches a diameter of three to four inches across its twelve to 18 slender white petals, which surround a pale yellow center. If the idea of having a Royal Star in your garden appeals to you the good news is that it’s quite an easy tree to care for. It’s not as fuss-free as a typical Spruce or Pine but it doesn’t need a lot of work to keep it in great shape. It’s rated as suitable for USDA plant hardiness zones 4 to 8, meaning it should do well across most of the USA with the exception of the northern regions and those areas of the Midwest with colder winters. When choosing a location for one it’s important to find moist, well-drained soil (ideally loam). It’s not very tolerant of extremes, either wet or dry, although it will do well in clay as long as the drainage is adequate. It will do well in either full sun or partial shade, with light in the morning being highly desirable – and of course, when it’s in bloom it will look much better with sunlight falling on it. Try to find a spot that’s not exposed to strong winds, particularly in winter, but avoid south-facing locations where possible. Too much sunlight can fool the buds into opening too early in the year, risking frost damage. On the other hand, Royal Star’s flowers usually bloom around two weeks later than the standard cultivars of the species, so they’re much less susceptible to late frosts. 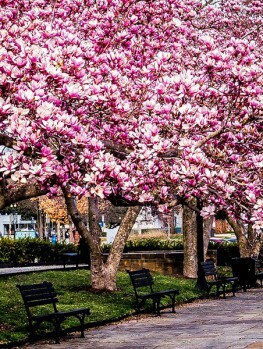 Star Magnolia is also free of major pest or disease problems, although it doesn’t like urban pollution; a suburban setting will suit it much better. 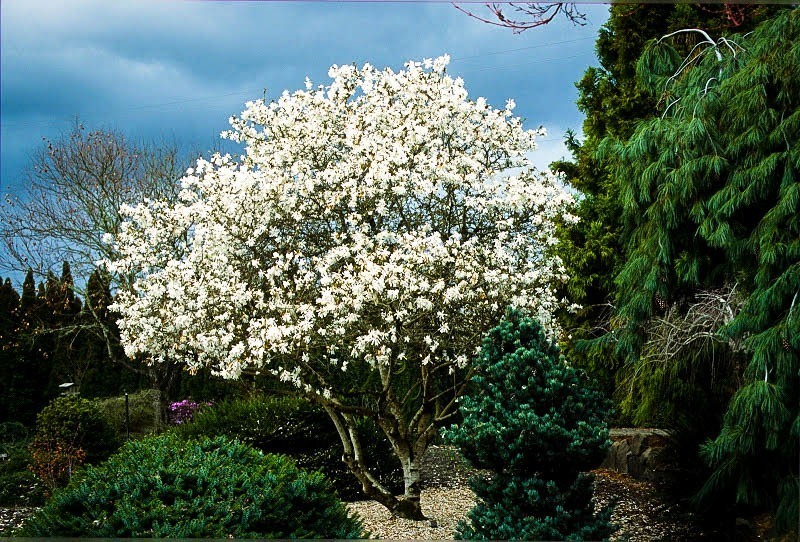 Royal Star is a particularly handsome Magnolia tree, making it very versatile and suitable for a range of uses. It’s ideal as a centerpiece, or planted around the foundations of your home. If trimmed small it works well as a shrub border. 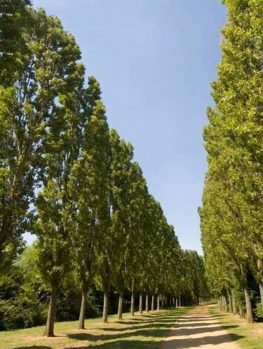 A row of them will also grow into an attractive informal hedge. This tree is tolerant of pruning and can be shaped easily; prune in late winter before new growth starts to appear for best results. 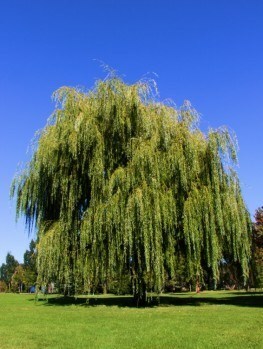 Alternatively it can be left to grow to its full height and form for a more natural look. There are so many different Magnolia varieties available that it can be difficult to choose between them, but Royal Star should definitely be at the top of your list. Its late-opening blooms don’t just protect against frost; their timing makes a great show to get spring in your garden off to a bright start. 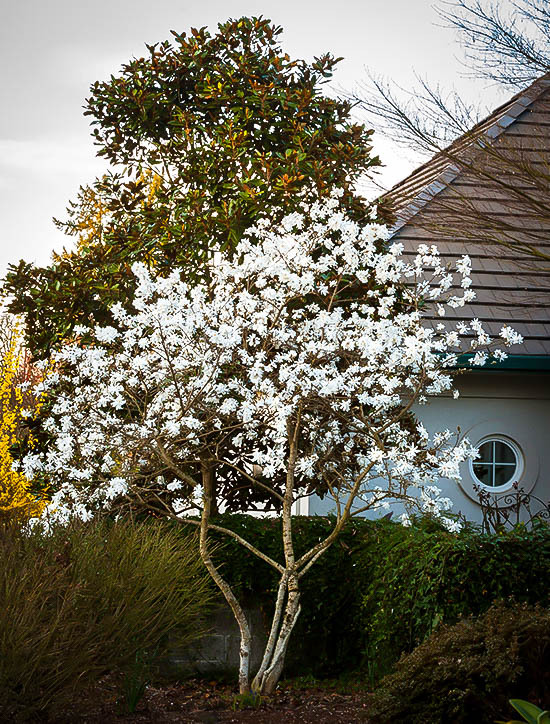 Compared to a regular Star Magnolia, the difference in size of the flowers is also very noticeable, so if you really want a bold display this could be the one to go for. Overall we think it’s a very impressive cultivar that deserves a place in any garden with a suitable climate. Some basic care and attention is all that’s required to keep it in great shape and the results are certainly worthwhile. If you want to plant something truly special this year you won’t go far wrong with a Royal Star.